Approx. 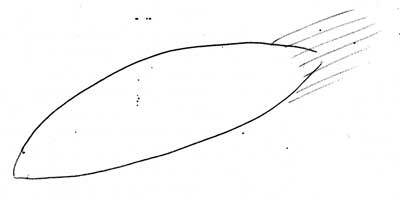 5,30 pm Witness, GM, observed oblong object with a very bright white tail, flying east to west for about 4 or 5 seconds. Witness stated too fast to get details. Approx 7 pm A witness ET. 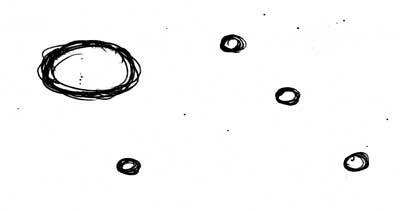 reported three spherical objects, a large white one and two smaller ones flying toward the horizon to the NE. The comments of the observer were, "This was an unexpected experience that I have not encountered before. It was a surprise and at first I thought it looked like a falling star, but the size and brightness of the light discounted this. It was beautiful. I did not mention it to anyone until someone mentioned it then I realized it was on the same day and at the same time so I shared my sighting. My concern is that I wish to remain anonymous"
This last statement is the main reason more sightings are not being reported. However, witnesses can rest assured that VUFORS respects these concerns and if any witness becomes known, they make it public themselves. The information is what is needed to help solve "The Riddle of the Skies"
5.45 pm An observer reported an oval shaped object, the colour was bright white. It sped from west to east. The size was of a small car. The sped was faster than anything the witness had ever observed. The experience left the witness scared. Thanks to Keith Douglas for this report. Sunshine, Victoria - Over Ballarat Road. 12 midnight. Four witnesses including two policemen observed four orange-red lights about magnitude (+1-0 astronomical terms). The objects were moving SW to SE at a distance of 5o distance from the observers. Viewing time about 15 minutes, before fading into clouds in formation. To quote one policeman, "that is freaky". One witness has an astronomical background and states, "those objects did not look normal and the police officers were alarmed as well". 5.45 pm Two witnesses, F and KD, observed a silvery white disc shaped object about the size of a dollar coin held at arms length. They only saw the object for about 20 seconds before it banked into a controlled dive in a south westerly direction, then disappeared behind trees on opposite side of Lake Wendouree. The object came from under an isolated cloud which the witnesses were watching changing colour at the time. They thought at first it was a star, then it began to move down closer as if it was descending and banking toward them. They could see clearly that it had a bright tail. Efforts are being made to locate the pilot of a helicopter flying nearby at the time. 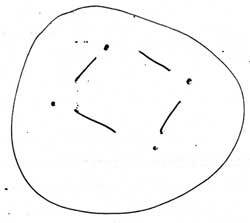 The observers reported 3 lights in a constant formation, with no visible shape, but equal distance between each one. They were joined by a 4th light which came through cloud cover. All lights passed overhead at constant height and speed. Then disappeared behind hill. They were in sight for about three minutes. Approx. 9 pm. 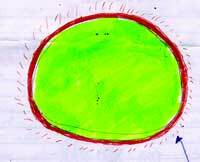 CO. reported observing a circular fluorescent green object with a bright red rim around the edge. The size was estimated to be at lease as large as a soccer ball held at arm's length. The object was viewed for only about 10 seconds before it shot away to the NW. Approx. `10.30 pm. Observer reported an oblong object with visible sections. Front section was bright rose in colour, second section was blue. The total length of the moon. It was flying horizontally from NW to SE and visible only for about 8 seconds. It was near enough for the observers to see two sections. 11.10 pm Member Francesca Curtis, reported a diamond white object about a third size of the moon. It flew slowly then descended behind trees. The speed was about the same as a light aircraft. It had small white lights flashing around. It may have divided into two , exactly the same size or else it was two objects which separated. at arms length. Object was in view for only a few seconds. The observer has worked in aviation industry for some time and said had never seen an object like this, let alone travelling at that speed. He said he did not believe it was an aircraft of any description. It was totally foreign. It was not like any shooting star or space junk entering our atmosphere. It was in the Northern sky going from East to West. Two observers watched which appeared to be playing games with an aircraft. Color of objects was yellow and white. The witnesses were at first watching aircraft fly over. Then, the two objects maneuvered about the aircraft then flew away. 23rd November, 1999 9.25 pm. Three witnesses observed four lights. One large white light and three smaller orange bright lights within 35 seconds. As the major light travelled across the horizon with a tail; Half way across, 3 small orange lights appeared in front of it and continued to track on the same course. The last orange light then doubled back to the bright light. The other two increased speed and disappeared on the same track for 2 - 5 seconds and suddenly seemed to disappear. The witness states "The three of us felt we saw something special. The most important part was the orange light doubling back to the bright light. 23rd November, 1999 9.30 pm. Three observers reported seeing five objects cross the sky - from the West to the North East in approximately 25 seconds. The largest object was about 1/4 size of the moon. The smaller objects were about 1/4 the size of the large object.